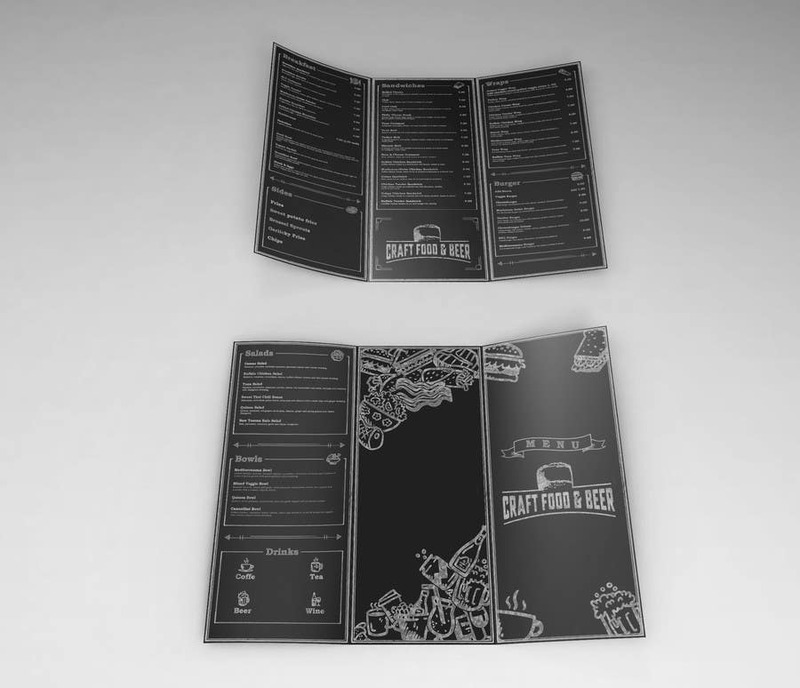 Hello sir, here i just make the menu design for the trifold part only, if you like it and choose me as the winner, i can finish the 5.5x8.5 size menu with same style. For the colors I use all white to make it look more realistic, you can also change the color according to your own wishes, available format can be edited entirely with 300DPI resolution, I hope you like it. thanks.